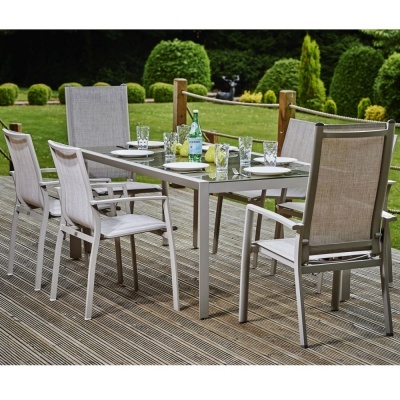 Supremo Veneto 6 Seat Reclining Dining Set from the Supremo Aluminium Furniture range, provides a durable and low maintenance garden suite. 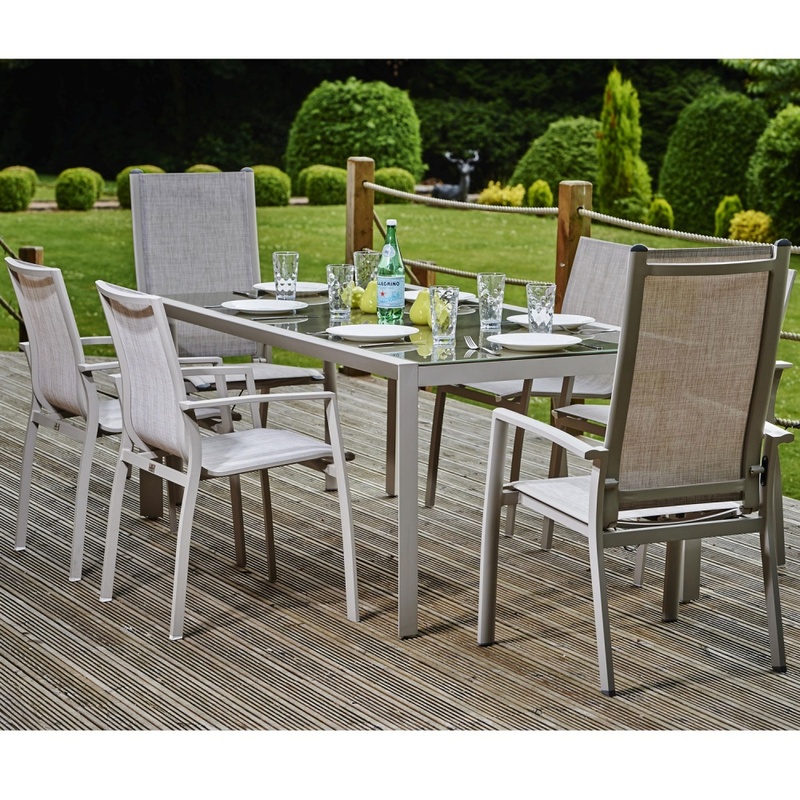 Suite constructed from sturdy Aluminium in linen grey design, complimented by a 180cm rectangular glass top dining table. 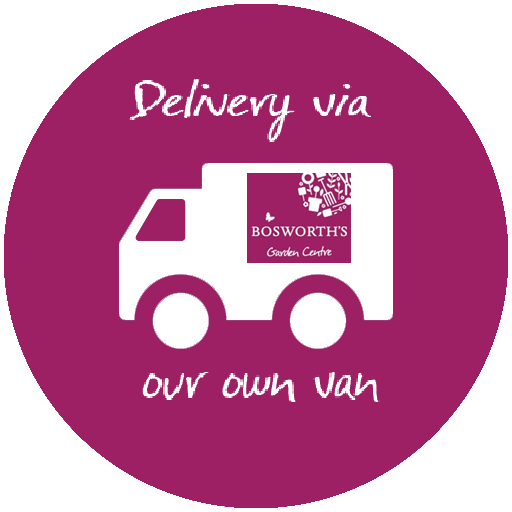 Supplied with four comfort low back chairs and two pump action high back reclining chairs with fabric covers.